Are you on the market for a drip brewer? If so, you’re probably looking at the Moccamaster and Bonavita models. We get it, not everyone has the time or money to go for an espresso machine, but why go for these instead? Because they are both Specialty Coffee Associate of American (SCAA) certified. That badge of approval means they are both top-notch drip brewers that meet optimal extraction times and brewing temperatures. So you know they are both quality machines, but you’re here to find out which one is better right? We thought so. Read on, coffee fan, to get the answer. Made in the Netherlands and designed by the Dutch, Moccamasters are often called the best of their breed for good reason. These are top of the line machines that are going to last you a long time and brew you consistently delicious cups of coffee. These guys also come with 5 year warranties and are generally quite reliable. This reliability is a result of premium materials, which make for a high-quality build that will last you years. For those who are environmentally conscious, it may also be interesting to not that Technivorm only uses recyclable and biodegradable build materials. The main complaint for these machines is the price point. Coming in at around $300, they are often price-prohibitive. But if you have the budget for one, it is definitely worth the investment. Made in China and designed in Germany, Bonavita is newer to the brewing scene. When they developed their semi-automatic drip brewer for half the price of their competitor, the model was dubbed the “Technivorm Killer.” But can the cheaper machines really stand up to the well-established pros? One of the biggest selling points for the Bonavita models is the pre-infusion function, which allows your ground to bloom before brewing for optimal flavor. This is a feature that the Moccamasters do not offer. Additionally, the large shower head and U-shaped filter baskets both work to give you full ground saturation for an incredible cup of Joe. However, these machines can be a little “plastic-y,” and with a shorter, 2-year warranty their heating elements likely won’t last you as long as the copper one in the Moccamaster. Measuring 15x11x6.25 inches, the KBT is a reasonable size for most most at-home baristas. 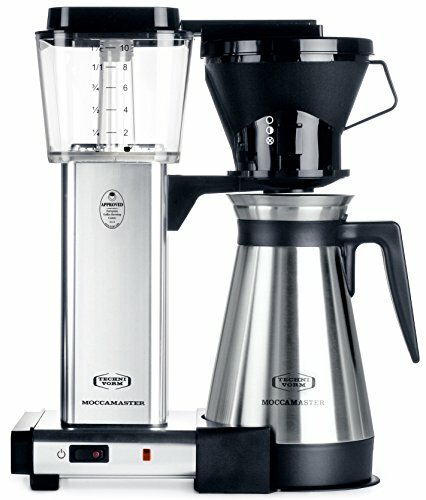 It is a breeze to use and clean, making brewing easy even for complete novices. But for those of you who like to tinker, the brew basket has got you covered. With an open design you can adjust the flow out of the bottom of the basket from closed to half-open to full open, at any point during the brew process. This is great for people who want more control over the coffee they are brewing. The brew cycle itself is super quiet. It’s controlled by a precise, pulsating drip brewing mechanism that helps with even extraction for the perfect java. As far as auto-off features, this machine will turn off it’s power-consuming heat elements immediately after you are done brewing. However, you will need to manually press its power button for it to be completely off. The Moccamaster also features a bar style 9-hole showerhead, which allows for acceptable ground saturation (though not as good as the Bonavita). So you may feel the need to get in there and stir things every once in awhile, but it’s no big deal if you don’t. The ease with which you can clean this machine more than makes up for the showerhead. Measuring 12.2×6.8×12.4 inches, the Bonavita option is a bit more short and stout, making for easier storage if you have limited counter space. As mentioned above, this model includes the signature Bonavita pre-infusion “blooming” function. This works particularly well with the 12-hole showerhead and flat brew basket that makes for incredibly even saturation and extraction. As a result, you are going to get a cup of coffee that is just as good as this machine’s higher-end competitors. Also, the Bonavita offers a completely automated auto-off system, which is nice for those of us who don’t want to have to manually power off the machine. On the flip side, the showerhead is much harder to clean (not impossible, just a bit cumbersome). And the closed system also means you can’t see or influence the brewing process. That’s probably not a big deal if you don’t want to bother with fiddling with your coffee machine in the morning. But, it’s a bit of a bummer for those of us with a need for control and customization. As far as brewing, you are going to have to remove the carafe lid before you put in the cone filter basket. And once it’s done you have to take the basket back out to put the lid back on. This isn’t the end of the world, but it’s a bit irksome at times. However, for this price, the occasional annoyance might be worth it to save your wallet. Plus, you are still getting a great cup of coffee. In the end, the Moccamaster is the better machine. With more customization and a longer lifespan, you are going to get the coffee you crave for longer. However, the margin is pretty slim. 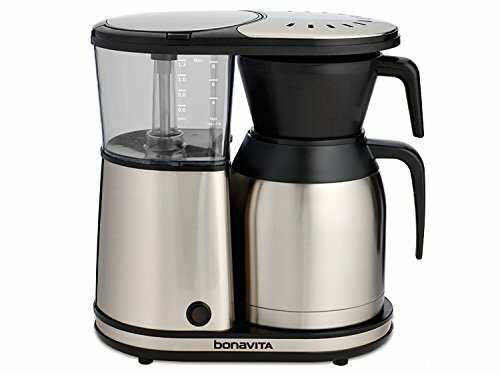 So, if your pocket book isn’t going to allow for a $300 investment, the Bonavita will still serve you pretty well and give you a great cup of coffee. Watch this video to learn how to brew the cleanest cup of coffee. The Chemex brewer is highly recommend if you really want to get serious about your coffee. Even French press lovers sometimes need a quick jolt or to serve a crowd. We found 15 of the best drip coffee makers to deliver bold flavor at home. We can all appreciate a sleek, easy Ninja Coffee bar, but sometimes you can get stuck in a rut making the same coffee every time. No more! Read our 17 great Ninja Coffee Bar recipes to add some fun to your daily routine. Who needs a fancy machine when a great cup of coffee is just a simple filter away? If you haven't tried a pour over coffee maker yet, you're missing out! Are you holding bleached and unbleached coffee filters in your hands right now wondering which you should buy? Don't worry, we'll show you the difference. For those looking for an easy, basic cup of Joe, a fancy espresso machine isn't really going to suit your lifestyle. However, a drip coffee maker or percolator might. 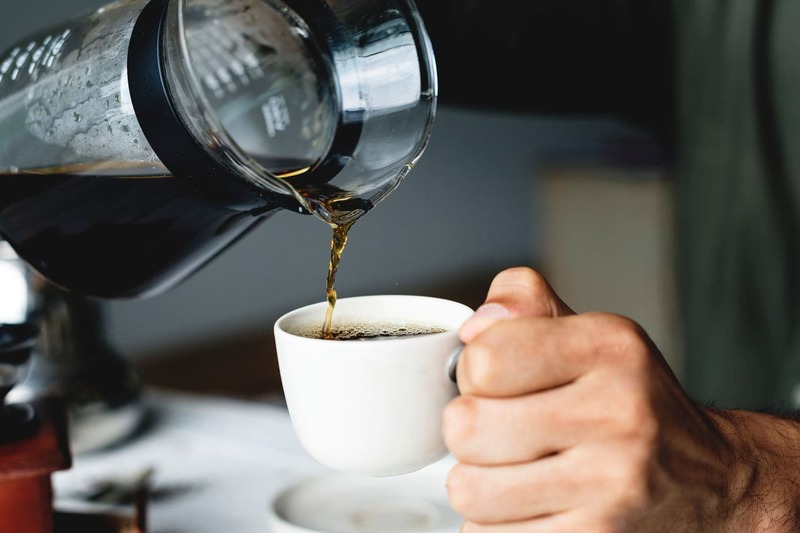 Read this comparison of drip coffee maker vs percolator to find which one is better for your brewing needs.